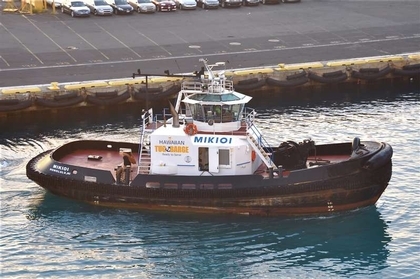 The Hawaiian Tug and Barge Company was formed by the parent Dillingham Corporation as a sister company to the Young Brothers Company to separate harbor operations, and charter activities from Young Brothers Company's inter-island freight operations. In 1977, the company's corporate name was changed to the Dillingham Tug and Barge Corporation of Honolulu, Hawaii. In 1986, the Dillingham Corporation shed its maritime assets in favor of real estate investment, with Dillingham Tug and Barge and Young Brothers being acquired by Hawaiian Electric Industries Incorporated (HEI) of Honolulu, Hawaii. At this time, Dillingham Tug and Barge's corporate name was reverted back to Hawaiian Tug and Barge. In 1999, Saltchuk Resources Incorporated of Seattle, Washington, acquired the maritime assets of HEI: the Hawaiian Tug and Barge Company, and the Young Brothers Company. Together, the Young Brothers Company, and the Hawaiian Tug and Barge Company operate a fleet of barges and tugs. In 2013, the Hawaiian Tug and Barge Company, and the Young Brothers Company. Were absorbed into the Foss Marine Holdings division of Saltchuk Resources. With the The Hawaiian Tug and Barge Company having been consolidated into Young Brothers Limited. Which is operated as an independent subsidiary of Foss Maritime Company.